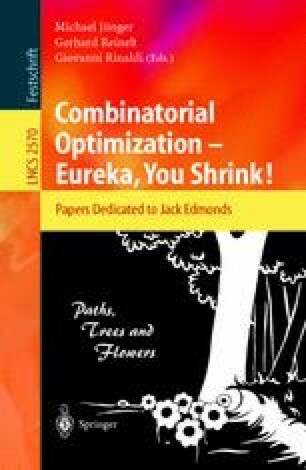 Combinatorial Optimization — Eureka, You Shrink! We discuss fast exponential time solutions for NP-complete problems. We survey known results and approaches, we provide pointers to the literature, and we discuss several open problems in this area. The list of discussed NP-complete problems includes the travelling salesman problem, scheduling under precedence constraints, satisfiability, knapsack, graph coloring, independent sets in graphs, bandwidth of a graph, and many more. U. Feige and J. Kilian . On limited versus polynomial nondeterminism. Chicago Journal of Theoretical Computer Science (http://cjtcs.cs.uchicago.edu/).